Stephen M. Black began his medical career at the University of Edinburgh, Scotland in 1982. He earned his Bachelor of Science in Molecular Biology with Honors in 1986, and obtained his Ph.D. in Molecular Pharmacology from the same institution in 1990. Stephen M. Black then gained postdoctoral training for one year at the University of Edinburgh studying Molecular Pharmacology before spending two years studying Molecular Endocrinology at the University of California, San Francisco. 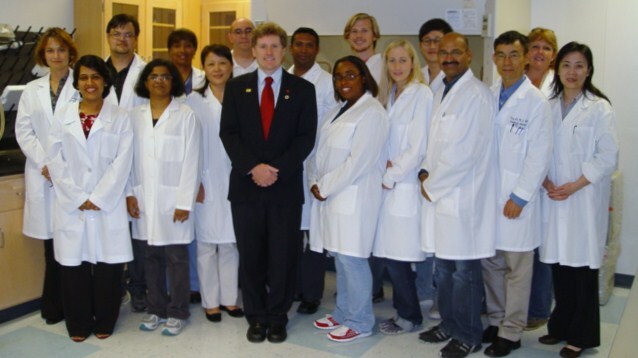 Stephen M. Black has received many academic appointments over the course of his career, beginning with an appointment as a Research Chemist with the University of California, San Francisco in 1993. The University of California, San Francisco promoted him to Assistant Professor in 1994 and he held this position until 1999. From 1999 through 2006 he held Associate Professor positions with Northwestern University, the University of Montana, and the University of Washington. The University of Montana made Stephen M. Black a full-time Professor in 2005 and Georgia Regents University did the same in 2006. Currently, Stephen M. Black is a Regents’ Professor for Georgia Regents University’s Department of Obstetrics and Gynecology, a position he was appointed to in September 2010. As a highly respected individual within the medical community, Stephen M. Black has also been invited to present at 8 national and international conferences in locations such as France, Germany, Greece, and the Czech Republic. He also has completed 29 visiting professorships and invited presentations, most recently sharing his medical knowledge with the Georgia Health Sciences University, Paris-Centre de recherché Cardiovasulaire (Le PARCC), and the University of Arizona’s Department of Physiology.